What are Safety and Reach Schools? Understand how to use your eligibility to create a balanced college list with safety and reach schools. Make a point to research admission requirements before you start applying to college. Sometimes it's a good thing to play it safe. After all, choosing the safe route ensures a more positive result. Drive the speed limit and you avoid a ticket. Study for a test and you’re sure to achieve a better grade. But sometimes, it's alright to go out on a limb too. Take a chance. Choose the path less traveled. Strive for what others have deemed impossible. And when it comes to choosing a school for higher education, "reaching" for a school that seems out of your educational league is not necessarily a bad idea. "A reach school for a prospective student or college applicant is a college that generally admits students with a stronger academic profile than what the prospective student has." "A college can be considered a 'safety' for a student's admission purposes if the student applying has a stronger academic profile than the majority of students who are applying to and gaining acceptance to the institution," said Mindy Popp, managing director and principal consultant at Popp & Associates in Wellesley, MA. "Some factors that comprise the applicant's academic profile include the student's transcript (the rigor of courses taken and the grades earned in those courses) and the student's standardized test results." So, what’s a reach school? "A reach school for a prospective student or college applicant is a college that generally admits students with a stronger academic profile than what the prospective student has." Guidance counselors are a great resource to figure out what your target schools should be. Popp explained that the best way for a student to understand his or her eligibility for admission at a particular school is to be familiar with the school's admitted student profile. These profiles are often found on a school's admission websites and can also be located on various college search websites or within college guidebooks. Popp recommends that the student also work with a school guidance counselor or independent college counselor to better understand his or her academic profile, and confirm whether or not a school is a safety, middle/target, or reach option. Other factors to consider when assessing whether or not a school is a safety or reach school include extracurricular involvement, a student's field-specific GPA and whether or not a school is a highly selective institution. Schools typically seek students who are well-rounded and involved in a number of activities, so a student who is lacking in this area may be rejected by specific institutions. What's more, if a student is applying to a specific school of study, but his or her GPA is lacking in those areas, then he or she may not be accepted. For example, a student with low math and science grades may not be accepted into an engineering-specific school. And, finally, it's important to keep in mind that no matter how great a student’s qualifications, highly selective schools, like Princeton or Harvard, will reject a number of well-qualified students. 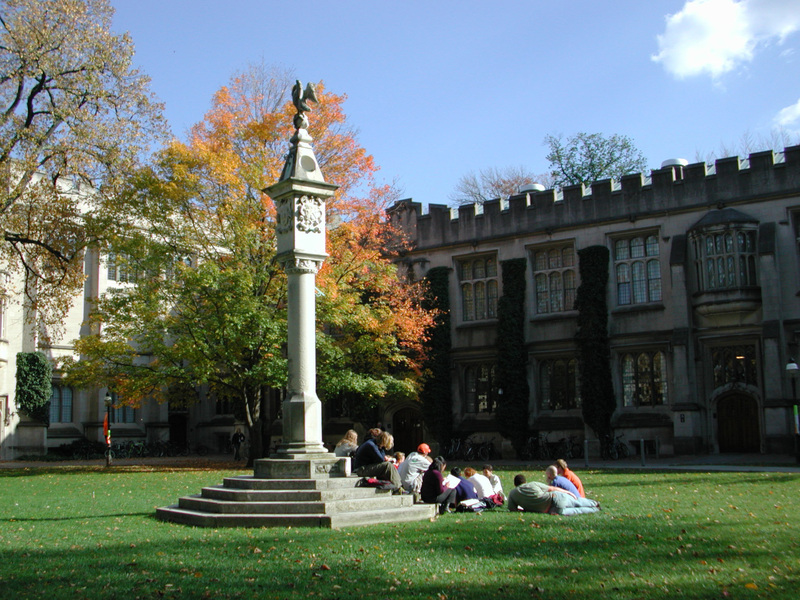 For most students, schools like Princeton University should be considered "reach" schools. Ultimately, said Sarah McGinty, Ph.D., author of "The College Application Essay" and college admissions expert, "There’s no such thing as a safety school." "There are schools whose requirements you meet and schools whose requirements you don’t," she said. "In the margins of each category are schools you might be a candidate for it there’s a tip factor to put you in and schools that will be eager to admit you as you exceed their regular application profile. I call the categories: impossible, possible and likely." McGinty agreed with Popp that a school's profile information will let a student know where he or she falls in an application pool. She added that a school's scattergram data or Naviance information might also help a student when choosing whether or not to apply. As for how many reach schools –– or "impossibles" as McGinty likes to call them –– to which a student should apply? "Two because remember –– they’re impossible," she said. Get familiar with a school's admitted student profile to assess whether or not it is a possibility for application. Work with a school guidance counselor to understand your academic profile. Assess your extracurricular involvement and whether or not it will affect your application process. Study a school's naviance information when choosing whether or not to apply. Is a Career Training or Community College for You?